1. What is a bus, and what is its purpose? Bus transmits data between two peripheral devices. Its purpose is to connect components such as Input/Output devices and memory. 2. What is a bus clock, and how does it affect performance? Bus clock is the start of a new communication operation across the bus. It affects performance of the data transfer rate because bus has a max speed. Therefore, associated components have no reason to excel further until the bus clock can improve first. 3. What is a subsidiary bus and how does it affect performance? A subsidiary bus allows for such things as videos games and animation on a PC. Continuous data is read at the same time controlling sound and multiple movements simultaneously. In simple terms, it's a second bus handling a second command at the same time. 4. What is a bitmap? 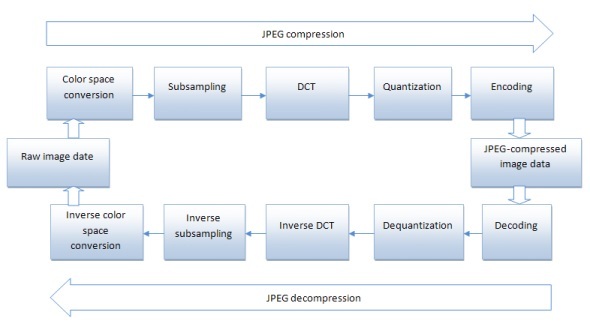 What is a JPEG encoding? How do these image formats differ from one another? Bitmap and JPEG image formats are similar by copying an image in the binary form, holding it in bits and storing it. "Because bitmaps store so much information in the highest revolutions, they make very beautiful images" (wisegeek.com). JPEG does a better job of displaying images on the Internet because the file is compressed from bitmap form. Bitmaps are easily edited so they are used for many logos of companies. 5. How do the first video displays compare to today's video displays? In 1930 Charles Jenkins broadcasted the first TV commercial in black and white with very poor quality (about.com). Color TV came about in 1946 using a red-blue-green wheel (about.com). In the early stages there were only about 343 lines of revolution used compared to today's 720 and 1080 HDTV's. 6. What are the 3 major classes of printers, and how do they differ? Dot Matrix Printers: These are the oldest, cheapest and most durable printers that are still used by some people today. It uses a ribbon to strike the paper with ink similar to a typewriter. Inkjet Printers: Cheaper than laser printers with removable ink cartridges. Color cartridges are separate from each other and the ink is known to be quite expensive. Laser Printers: The most evolved of the bunch. A laser electronically attracts the powdered toner to the paper to form the image. They have much better resolution to print better pictures and one cartridge can be used for all colors. 7. 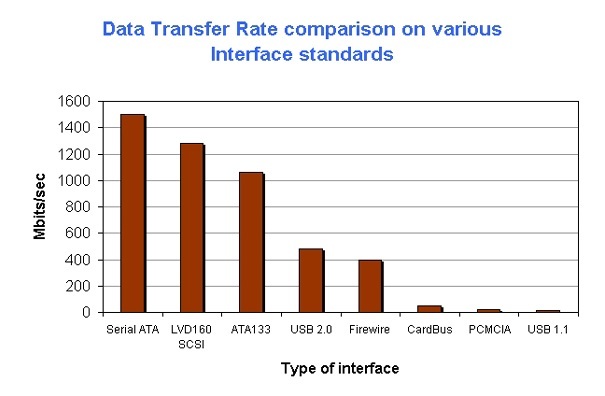 Discuss and evaluate two ways to increase the maximum bus data transfer rate. Increase the buffer size because larger buffer sizes can enable you to send and receive at faster rates. Decreasing the number of bits per message can also increase the bus data transfer rate as the processor is handling less each time. 8. Describe the three functions that a device controller performs in a computer system and provide specific examples of each. The device controller implements the bus interface and access protocols, translates logical accesses into physical accesses and enables several devices to share access to a bus connection. 9. List and describe three levels of cache and their location in relation to the CPU. The cache closest to the CPU is called Level 1, then Level 2 and finally Level 3 which is the farthest away from the CPU. Multiple levels of cache can be used in the same chip but not at the same time unless it's a multi-core processor. 10. Explain the differences and similarities between bitmap and vector graphics. Vector images are created using vector lines that are defined using the weight of each line, font color and fill pattern. Bitmap images are translated into binary form and depict a much better image that can be manipulated much easier. 11. 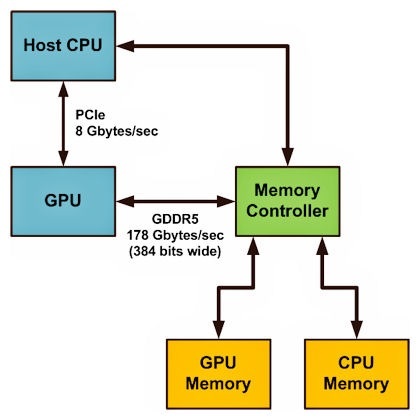 Explain why a video controller has its own processor and its own memory. The controller processor serves as a cache controller deciding when to save or overwrite portions of the cache. It also supports more graphics-processing operations with dual ports supporting sound through one and video through the other.